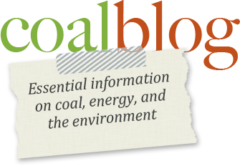 Ralph Hillman, Executive Director of the Australian Coal Association discusses Australian efforts to implement carbon capture and storage (CCS), the recent Senate vote on the ETS, and the COP15 conference in Copenhagen. Indian utility, Spice Energy has inked a 20-year agreement with PT Tambang Batubara (an Indonesian coal mining company) to supply their proposed 1,000 MW coal-fueled generation plant with 6 million metric tonnes annually beginning in 2011. As many as 2,000 Kentucky miners rallied at the state capital yesterday to protest a bill aimed at stopping a mining technique known as "mountaintop removal." If passed, thousands of miners could be put out of work and the economic well-being of the area could be severely impacted. This WKYT.com report provides a short description and video of the miner’s actions. Kudos to the miners for standing up for their way of lives and for defending the mining industry’s proactive actions to reclaim mine sites as wel as its provision of thousands of jobs and economic stability to the area. It’s always time to stand up behind the men and women who help keep the American coal mining industry running.